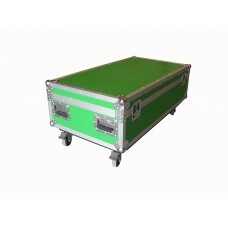 Flightcase for 4 of 1 x 0.5m panelsFlightcase to house 4 of 1 x 0.5m staging panels plus risers.. 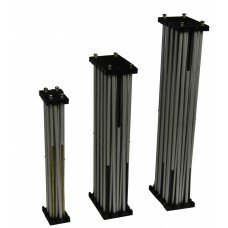 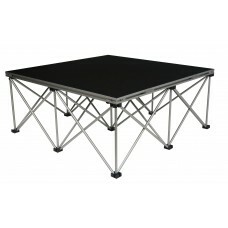 Platform 1m x 0.5m1m x 0.5m staging platform (shown with riser -available separately).. 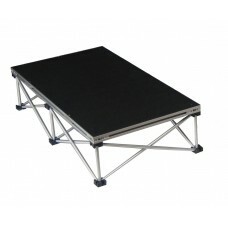 Platform 1m x 1m1m x 1m staging platform (shown with riser - available separately)..
Riser 100 x 100 x 20cm100 x 100 x 20cm stage riser (height 20cm)..
Riser 100 x 100 x 30cm100 x 100 x 30cm stage riser (height 30cm)..
Riser 100 x 100 x 40cm100 x 100 x 40cm stage riser (height 40cm)..
Riser 100 x 100 x 60cm100 x 100 x 60cm stage riser (height 60cm)..
Riser 100 x 50 x 20cm100 x 50 x 20cm stage riser (height 20cm)..
Riser 100 x 50 x 30cm100 x 50 x 30cm stage riser (height 30cm)..
Riser 100 x 50 x 40cm100 x 50 x 40cm stage riser (height 40cm)..
Riser 100 x 50 x 60cm100 x 50 x 60cm stage riser (height 60cm)..
Valance 2m x 20cmValance to conceal stage risers and provide neat, professional finish. 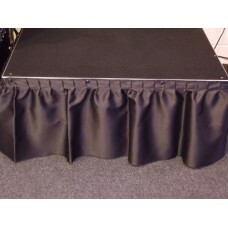 2m x 20cm dr..